Given the range in cost and quality of care for the elderly, it’s important to understand the options for your loved ones. Many seniors want the option of freedom and home comforts, but this isn’t always easy to offer them in their own homes. If it’s time to consider assisted senior living, you want to use your intuition and senses to find the facility that will provide the best comfort and care for family members. When touring a facility, keep your senses alert to learn what you need to know. You want to make sure the choice you make will provide comfort and proper care for those you love. The social, emotional, and physical needs of your family members should have consideration. When researching and touring assisted living facilities, your eyes, ears, mouth, and nose can all help in the choice. Even your sense of touch can aid your decision. For your loved ones to feel comfortable, they need an atmosphere that will bring them the most comfort. When touring a facility, make sure you look around you. What does the common area look like? What do the living quarters look like? Will the facility allow them to bring some of their home comforts with them? Make sure the colors and atmosphere of the rooms they use will put them at ease. Also, make sure the facility seems clean and well kept. You also want to make sure the residents seem well cared for and happy. Make sure the resident clothes seem clean and the residents themselves look happy and hearty. Also, pay attention to the activities provided for residents to determine whether your loved ones will have activities they will enjoy. Your ears can help you pick up on how the staff and residents get treated. Listen to how the management treats the staff. 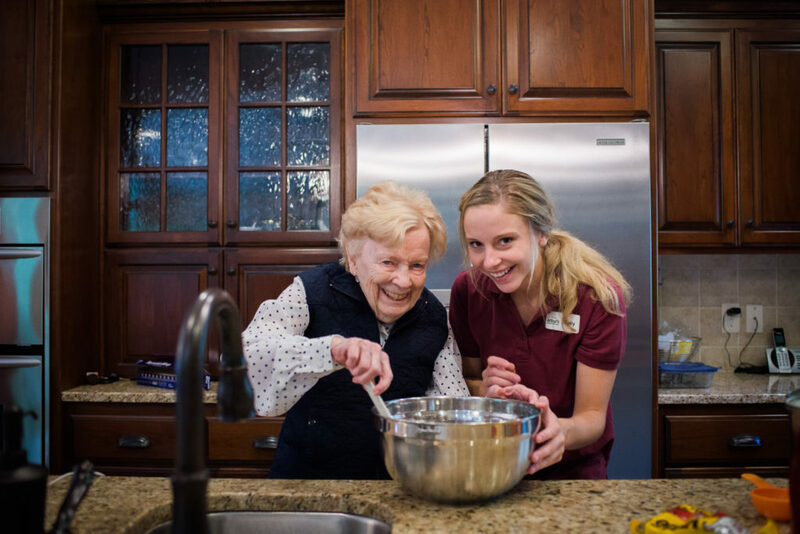 Listen to how the staff interact with the residents and with each other. Many seniors in assisted living facilities require specialized care. You want to make sure the staff treats them respectfully when dealing with these issues. You should also listen to what the residents have to say about their treatment. Remember, some residents will complain no matter what, so don’t rely on this alone. If you keep your ears open as you check out a facility, you can discover if staff and residents remain happy. You can also learn how staff discuss residents to know whether they care about their charges. Meals are often overlooked when touring an assisted living facility. This remains an important aspect of care and comfort for your loved ones though. When looking into a facility, ask about the meal options. Make sure your loved one’s dietary needs will get met. Also, make sure they will have options pleasing to them. If possible, stay for mealtime to taste the options yourself and make sure the residents have tasty and nutritious meals and that the dining environment is pleasing. You should also discuss having your loved one’s favorite meals added to the menu. You should make sure the facility knows of any serious allergies. You should also discuss how these issues will get handled before making a decision. You also want to make sure the kitchen staff that interacts with residents treat the other residents well. Smells can make or break a facility. This comes down to cleanliness and care of the facility and residents. You want to make sure the living areas and common areas smell clean and pleasant. You also want to make sure the other residents smell as though their personal hygiene needs are met. In assisted living facilities, there are residents that need extra care with cleaning after using the restroom or have a need for adult incontinence products. If these residents are well cared for, the smells from these issues will remain minimal. It’s not just the smells of cleanliness that matter though. You also want to check for any strong perfumes or other odors that could aggravate your loved ones. The sense of touch provides an important hint to the comfort of your loved ones. This includes many aspects of the daily comforts for residents, including comfortable areas and how the residents get handled during their care. 75% of seniors have at least one health issue that requires extra care. This means you should know how the staff involved will handle them during these times of care. Make sure they have a gentle and respectful touch. The beds and chairs provided will also give you an idea of the comfort provided for residents. Make sure chairs in the rooms and common areas will provide comfort, and make sure the beds provide the right support. Besides the comforts of the senses, you also want to make sure the social and emotional needs of your family members get met. This means you want to find a facility where they can fit in with staff and residents. Look for a facility that will provide an opportunity for socializing. Also, make sure there are people your loved ones would want to socialize with. The right culture will go a long way to providing comfort. You want to find a facility where your loved one’s daily habits and past experiences can fit in with the other residents. You also want to make sure the staff can understand the experiences of your family. Is it time to consider assisted senior living for a family member? Make sure you’re prepared to ask all the questions necessary for their comfort and care. To get started, you should plan a tour to discover the culture and atmosphere. If you’re ready to schedule a tour of our facility, or you have questions, contact us to get started.